HÀ NỘI — After years of debate, the revision of the anti-corruption law was adopted last month with near-complete approval from the National Assembly, extending the fight against rampant corruption in the country’s private sector. The decision had been widely welcomed as showing the Vietnamese Government’s commitment to creating a fair and transparent business environment as the country strives towards deeper integration into the global economy. Trần Ngọc Liêm, deputy inspector general of the Government Inspectorate, made the statement referring to a slew of new-generation trade pacts Việt Nam has signed, including the Europe-Việt Nam Free Trade Agreement (EVFTA), and the Comprehensive and Progressive Agreement for Trans-Pacific Partnership (CPTPP). However, since it was the first time Việt Nam had officially instituted legislation to deal with corruption in the private sector, only “basic provisions” had been included covering the liability of those in high positions of public companies and creditors and obligatory duties for private entities, he said during a conference on Thursday in Hà Nội. It formed just part of an extensive legal system that included regulations in each sector and the law against wastefulness, which he called a necessary companion to anti-corruption efforts. Some of the highlights of the revised law include attempts to curb conflicts of interests by banning those in management positions from signing contracts with businesses run by their relatives or assigning relatives or friends to accounting and treasury posts, as well as stopping former officials from establishing or running a company in the sector they had worked in. 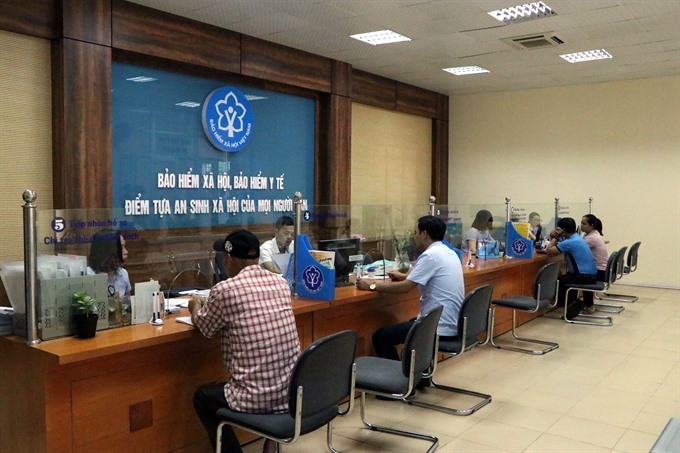 Random assessments of asset declarations, more power to inspecting agencies as well as stricter penalties for offenders and those with unexplained assets would be included, according to Cường. Việt Nam’s businesses have been complaining about petty corruption for a long time, with 59.3 per cent of companies surveyed in the Việt Nam Provincial Competitiveness Index last year saying they had to pay ‘informal charges’, while the World Economic Forum’s Global Competitiveness Report 2017-18 put the country at near bottom of 137 countries in terms of “irregular payment and bribes”. Catherine Phuong, Assistant to Country Director of the United Nations Development Programme (UNDP) in Việt Nam, remarked that the United Nations Convention on Anti-Corruption provided “flexibility” to signatory countries like Việt Nam to adopt the provisions into their domestic law to prevent corruption and enhance accounting and auditing standards in the private sector. Phuong commended the latest provision in Việt Nam’s anti-corruption law which encouraged businesses to develop a ‘code of conduct’ and strengthen ‘internal controls’ to prevent corruption, however, she noted that it would be better if these policies were made mandatory for all businesses – private or State-owned. In this regard, the Việt Nam Chamber of Commerce and Industry (VCCI) had been conducting a survey on the development of a code of conduct and internal control protocols within the Vietnamese community, the results of which would be important input for the Government to consolidate its legal regulations and provide assistance to businesses. Similarly, Stephen Taylor, head of the internal political section from the British Embassy in Hà Nội, shared anti-corruption practices from the UK, which revolved around the Bribery Act, passed in 2010. The act places “the burden of proof” on companies to show that they had “adequate procedures” to monitor and prevent corruption, as well as established company liability for malfeasances committed by persons acting on behalf of the company, he said. The British diplomat remarked that while the legislation was broad, there were “detailed guidance notes” and that the Ministry of Justice was always available to lend a helping hand. Saying that “it’s better to prevent than to prosecute” corruption, Taylor argued that cutting bureaucracy and improving transparency would minimise the opportunities for bribery to take place in the first place, citing the example of Đồng Nai Province’s single-window system as a “shining example in Việt Nam”. Promotion of a cashless society and administrative reforms with a view towards higher degrees of online documentation and payment processing were also viewed as conducive to a more transparent and corruption-free environment. Representing the business community in Việt Nam, Đậu Anh Tuấn, director general of the Legal Department at the VCCI, noted that corruption was a sensitive issue within the business community and should be framed from the angle of how much ‘irregular payments’ cost businesses and the losses they cause to the economy.